Located in El Cajon, California, our craftsmanship expertise includes custom homes, multi-family residences & planned communities, remodels, and small commercial businesses. Our finish carpentry includes unique entry door systems, custom French doors, a large array of interior doors, wardrobe closet doors including mirrored units, various types of moldings and trims. 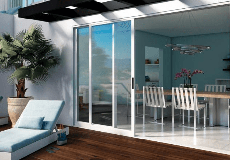 C-Me Trim also offers a large selection of wood and vinyl windows and doors. C-ME TRIM Company Inc. began in 1984 together with Kimberly Miinch, current President and owner and CEO & Co-Founder Chuck Miinch. We take pride of been a women owned business and family oriented enviroment. With this solid foundation and value, we have been exceeding all industry standards for our clients for 32 years, which include individual homeowners, general contractors and commercial developers. We provide the highest quality of service possible. Our employees are all extremely experienced and hard-working. Our success lies in the company’s hands-on approach to business, happy and experienced employees and solid products and installation. We are committed to customer satisfaction with a dependable on-time schedule and highest customer service. Milgard dealer of the month and dealer of the quarter. Member of the Approved Home Pro Show-San Diego home improvement professional. Featured in San Diego Living Magazine several times for home remold projects. For residential, remodels and new construction projects we proudly serve El Cajon, Alpine, Ramona, Juliane, San Diego, La Mesa, Chula Vista, La Jolla, Rancho San Diego, Rancho Santa Fe, Del Mar, Carlsbad, Vista, Escondido, Oceanside, Coronado, Encinitas and any outlining areas. For multi-family projects we proudly serve the following counties: San Diego County, Imperial County, Orange County, Los Angeles County, San Bernardino County, and Riverside County. C-ME Trim Company is rated 5.0 out of 5 by 1. Rated 5 out of 5 by Kevin60 from Don't mess with the rest, got with the BEST........C-ME TRIM If you are looking to get your windows/doors replaced, C-ME Trim should be your first call. I took a great deal of time choosing the right company to complete the job. After getting 5 different estimates completed, I choose C-ME Trim. All the other company's that came in were sales men and I felt like they were trying to sell me a car. C-ME Trim came in, gave a me 2 different estimates, and most importantly didn't try to shove the job down my throat. The final product turned out perfect. Their communication was great and I would definitely choose them again in the future.